The implication was that I don’t actually play the old games I buy: That I couldn’t possibly do so in all seriousness and that I must simply enjoy collecting obscure items for the heck of it, because nobody could ever actually enjoy playing a unit like the Tiger Game com. I disagreed with the assessment. As you’ve probably gathered if you know anything about this website, I play every one of the games I buy and rarely, if ever, find the process to be torturous. True some are laughable, true others are downright broken but that doesn’t mean I’m not enjoying myself on the journey. I also disagree when it comes to the prevailing wisdom on Tiger’s iteration of the Sonic franchise. The general consensus you’ll find online is that it’s one of the worst Sonic games available and, while it’s hard to object too strongly to that, I do take issue with the idea that it’s also one of the worst games ever made. People have been so vehement in their condemnation, often having done little more than watched another angry YouTube reviewer unfairly compare it to a 32-bit Saturn compilation while playing it on a clearly underperforming emulator, that it’s become an almost universally accepted truth that the game is irredeemable garbage. Yet, as I’ve discovered from my own experiences with the game, it’s often funnier to speak ill of something than to try to get to grips with it and understand it. With this review, I’m going to take a slightly different tact. Partly because the world doesn’t need to read another “angry” review of Sonic Jam for the Game Com, but mostly because it could very much do with a balanced one that doesn’t retread the same old mistruths that are already out there. You see, in actuality, Sonic Jam is far from unplayable and also pretty far from being the Game com’s worst game, let alone one of the worst ever. It's not going to win any awards and it has plenty of flaws, but it's actually a solid to middling platformer if you are able to seperate yourself from everything you've learned about Sonic games. ​I’ll set out my stall from the outset: I’m not going to defend Sonic Jam’s very obvious faults. It isn’t a very good Sonic game, however the idea that it’s irredeemably awful as a Game com game, a platform game or even as a videogame, is, in my view, incorrect. I’ve spent a couple of weeks now playing it, beating all three “games” included with multiple characters and testing out some of the theories and half-truths about it you’ll see online. What I’ve played is a curiously odd title that, despite its many flaws, has pulled me back to it far more often than its dubious reputation would indicate is possible. Part of the problem, I feel, is that the Game com conned quite a lot of people back in the day and left them feeling cheated. Marketed as being more powerful than its competitors, it quite clearly was a letdown in that area. While it should have chased the market later conquered by the Nintendo DS, Tiger made the decision to advertise the Game com with a commercial that was ten times as annoyingly juvenile as anything 90’s Sega might have produced. It then released a load of ill-fitting, licensed games that people were used to associating with vastly more powerful machines. It also doesn't help that the screenshots on the box art and much of the screenshots released to magazines at the time clearly did not come from the finished game. Take a look at these pictures as evidence. They display an entirely different game to the one you'll end up actually playing, suggesting a different, scrapped title or (hinted at by the way the bonus level screenshot on the box still encourages you to collect the "blue" spheres) cynically digitally altered screenshots of the original. Nope, nope and nope! 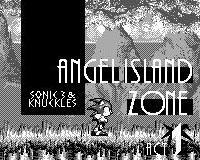 These screenshots DO NOT appear in the game where there is no act select, lock-on or named zones/Super Sonic. The actual game's backdrops are also significantly less detailed. False advertising like this didn't help ease the frustration for people who bought the Game.com back in the day. It's understandable that, having experienced wonderful Sonic outings on the Game Gear, people had every right to feel cheated if they bought this expecting it to better those efforts. However, we aren’t living in the 1990’s anymore and this isn’t a review torn from the pages of EGM. We can and perhaps should, take a look at the game with fresh eyes (well, at least rested ones - it is the Game com's screen after all!) and the benefit of hindsight. Knowing what we know about the Game com it would be ridiculous to go into Sonic Jam expecting a literal port of the Saturn title. That game was a compilation of Sonic’s best 2d outings bridged by a 3d overworld. Sonic itself was a fast paced series that was never going to translate to a system with a screen that struggled with moving imagery, just as a full compilation of Sonic’s 16 bit adventures was never going to fit onto a tiny Game com cartridge. It’s reasonable to expect something lesser and now, with hindsight, it shouldn’t be as big a leap for most YouTubers to do this as it seems to be. So what do you get with the Game com iteration? Well, you get a greatly reduced experience that isn’t trying to be a port of the Saturn title. Once you accept this, the easier it is to start accepting it as its own thing and assessing it a little more fairly. There’s no 3d “museum” overworld, obviously and Sonic 1 also doesn’t make the cut. In actual fact, none of the games make the cut, as Sonic Jam isn’t a compilation of Genesis ports but rather a remix of three titles: Sonic 2, Sonic 3 and Sonic & Knuckles. Each “game” is split into four pretty large stages with levels that do not replicate, but instead feature “highlights” or special features of key stages from the original games with graphical tiles based on a key world from each. This seems to have attracted a lot of criticism online, despite it quite clearly being a conscious design choice rather than the laziness it’s been unfairly portrayed as. The idea that the developer omitted levels out of incompetence seems as ridiculous as it is insulting. In actuality, it’s likely that whoever did programme Sonic Jam was given a very short timeframe to do the job. That they were able to pull anything resembling a Sonic-style experience out of the hardware, would, I suspect be looked more kindly upon if this were a homebrew effort arriving in 2017 instead of a then fairly expensive release twenty years earlier. 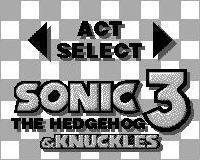 You are given the option of three selectable characters to tackle the games with: Sonic himself, Tails and Knuckles. The latter is a palette swap of Sonic only and, as such, is missing features such as his ability to glide and wall climb. This has again drawn the ire of online commentators as a somehow inexcusable omission, despite the fact that there were, again, probably a host of technical reasons for this and the character was likely only offered as it would have been more ridiculous to leave him out of his own titular game! Tails is the most useful character for getting to grips with the game as his flight ability will save you many deaths and allow you to get a better handle on the level design before taking it on as Sonic or Knuckles. (Right) One of the more interesting "bosses", it's unfortunately super easy as rolling or jumping makes you invincible to the bombs that fall, presumably as no hit detection was programmed for these animations, one of several signs of a rushed development. If you do select Sonic or Knuckles then you’ll likely encounter some of the issues picked up on in YouTube videos. Firstly the game’s trademark speed is largely absent or at least, difficult to achieve. However, this isn’t necessarily the worst idea by the developer. The Game com doesn’t cope very well with fast moving sprites and so the decision to produce a slower experience actually works here. Contrary to what you may have seen online, I haven’t found it difficult to make out what is going on in the game at all. In fact the backgrounds, even when moving are some of the most clear and multi-layered I’ve seen on the system. Granted I probably spend more time than most staring at old handhelds but, with the contrast suitably adjusted, I didn’t find either the backgrounds or sprites themselves blurring into the indistinguishable mess that is a common point of hilarity on Youtube. Another untrue claim offered by reviewers was also debunked. Watch any video online of someone playing this game and you’ll see the same thing happen: Sonic, or Knuckles begins climbing a hill and appears to get stuck, unable to build up sufficient speed to tackle it (at which point the YouTuber usually gives up or collapses into staged laughter). This was indeed an initial source of frustration for me, until I began to understand the mechanics of the game. This may seem unintuitive to Sonic aficionados but it started to dawn on me that these hills were placed like this for a reason: as speed bumps that keep things grounded to a level the Game com can cope with. You are supposed to use Sonic’s spin dash to attack most of the ground based levels and, if done properly, you not only travel at a reasonable speed but these odd problems with the game’s physics start to disappear. Indeed, the more you play the game and adjust to it’s differences, the more you realise that the Game com version of Sonic Jam isn’t meant to be a played as a speed dash at all, but as an explorative platformer. The levels themselves are actually quite large with most having three or four routes through them including secret areas to be found. 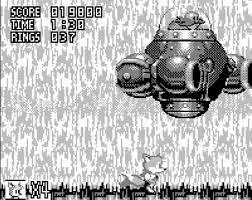 This is where Tails works almost as a cheat mode as his flight time is ridiculously overpowered to compensate and he can fly through most barriers (and bosses) to find hidden routes or remove the frustration sudden death pits. While we are discussing Tails, let’s take care of another urban myth about this game. There are reviews out there that claim that Tails is actually the only character worth selecting and that the games are unbeatable with the other characters due to glitches. Again, this isn’t actually true. A classic example is the tree taken from Sonic 3’s first stage. 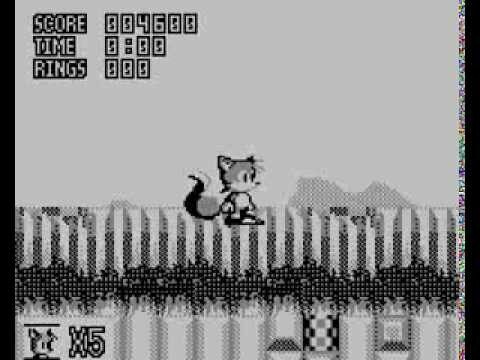 Numerous reviewers have claimed that the climbing animation wasn’t programmed and so the only way to get past it is to fly over it with Tails. In fact this is another mistruth, widely purported to be fact because people are insistent that this port should play exactly like the Megadrive game. In actuality the tree can be climbed with Sonic or Knuckles, you simply need to run at it at full speed and then release the dpad when the game goes into its climbing animation. This may seem unintuitive to those who played the original, but again, it’s another case of people choosing to believe the worst instead of figuring out a different way to do something. Despite this, there are some aspects of Sonic Jam that do scream unfinished. 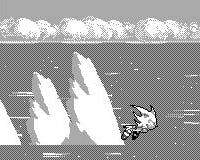 There are missing graphics tiles on one level of Sonic 2 where Sonic ends up negotiating invisible platforms. One of the bosses is little more than a cut-scene and several of the others appear to be missing hit detection with their weapons not affecting you so long as you are in a certain animation, such as jumping. These are aspects where the game does fall down somewhat and its rushed nature can be clearly seen and appropriately criticised. Music is another area that deserves critique with random bleeps and bloops struggling to reinterpret an odd selection of tunes including the Sonic 3 boss music and character select music, anachronistically chosen to replace the main level and title screen respectively. The classic Sonic title theme is oddly absent…although perhaps that’s for the best or we’d probably have an entire YouTube series moaning about it! Thankfully the sound effects do a better job, with the classic dopamine producing jump and ring noises present even if some of the others are absent. It’s this reviewer’s opinion that the “games” themselves deserve a little more credit than they have received, once you get past the fact that they are thematic remixes, not full ports and that they have a different approach to the gameplay than the originals. In fact it’s questionable whether a 12 level full game named “Sonic Remix” might not have attracted less anger, as there is enough variety in each to have passed off as one long game had these been interconnected. Here, Sonic 2 is reinterpreted as your standard early Sonic game complete with trademark, loop-de-loops, springs, waterfalls and twisting paths. Its downside is its sudden death pits that can catch you unawares due to the large sprite size and out of nowhere nature of these hazards. Spikes can also be a nuisance, needing to be cleared from a running start. 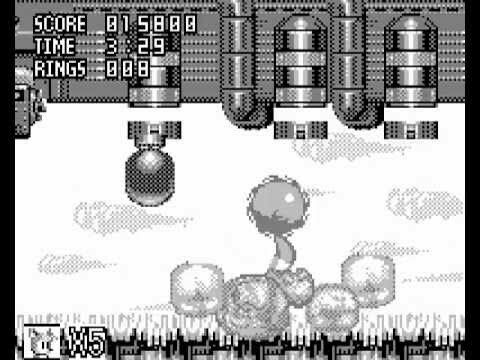 Sonic 3 focuses a lot more on exploration and introduces gimmicks from that game such as smashing rocks, zip slides and famous bits of level design like the aforementioned tree climb. It also has some rather odd level design, with a large empty area at the outset of stage 2 and mid-way markers placed at odd intermissions. Sonic and Knuckles is a much slower paced game with the largest levels and gadgets like the weighted platforms and mushrooms that spring you up high, the pulleys that can be used to gain higher ground and the Prince of Persia like flips that can be performed on a poll. Considering that a truly cynical product could have omitted all of these for something much more generic, the non-uniformity of each “game”, also reflected in the backdrops is nice to see and does make you feel like you are playing a noticeably different title with each game selected. While Chaos Emeralds do not make an appearance, the bonus stage from Sonic 3 can be found in that game and in S&K by finding secret rings hidden in the stages. These are fiddly and rather pointless but are, again, a nice inclusion in a game that allegedly had zero effort put into it. There are other nice touches too, such as the freed animals from Badniks appearing and following Sonic for a short time, something they didn’t do in the 8 bit handheld entries. Sonic and chums are also nicely animated in 16 bit style, with some unused idle animations from Sonic 3 incorporated here. (Left) Sonic and Knuckles retains the bouncy mushrooms (Right) The final boss from Sonic 3 irritatingly placed behind a massive jump. This is what’s really frustrating about Sonic Jam, not it’s omissions or the way it reinterprets Sonic as a slow explorative platformer. It’s not the missing levels that irk or the flickering frame rate. For me it’s the obvious idea that somebody here might have cared. Not Tiger, obviously, who just wanted a game out as quickly as possible. Not Sega either, who just happily took the money for the license as they continue to do today. Yet there are enough signposts here to suggest that whatever (probably single digit) team put this together, sort of…maybe understood what they were doing and could have done a lot better if they’d been given the time to do so and weren’t being tasked with the nigh on impossible task of converting Sonic the bloody hedgehog to a device as powerful as the average graphing calculator. Ultimately, as I try to sum up my experience with Sonic Jam, I must return to my original statement. I am not a collector, buying this stuff to poke fun at it in exchange for easy Youtube hits. I’m an explorer of Obsolete Worlds. I can find joy in the strangest and weirdest of videogames. Sonic Jam is most certainly one of them. Did I find a world beater in Sonic Jam? Is it world’s worst game? The worst game on the system even? In fact, once you stop thinking about it as a port of something, once you stop thinking of it with any expectations at all, it’s easy enough to enjoy Sonic Jam for what it is: A half-decent, certainly rushed, unsuccessful attempt to do something impossible that is both a curious footnote in gaming as well as one of the internet’s biggest urban myth generators. It's also a perfectly passable way to kill fifteen minutes. Perhaps it’ll upset some purists that I found the game relatively enjoyable and will almost certainly play it again. That’s not a lie or hyperbole designed to prompt a response by the way because, as I had to point out to the polite chap who questioned me on the internet forum; playing games for enjoyment is, in fact, what I do and I have been able to enjoy most of the games I’ve played for this system so far. Well…except for Fighters Megamix! That one really is irredeemably awful.